Even if you’re a newcomer to Linux, you’ve probably figured out that it is not a single, monolithic operating system, but a constellation of projects. The different “stars” in this constellation take the form of “distributions,” or “distros.” Each offers its own take on the Linux model. To gain an appreciation of the plethora of options offered by the range of distributions, it helps to understand how Linux started out and subsequently proliferated. With that in mind, here’s a brief introduction to Linux’s history. The Galago Pro looks like an incredibly stylish device ready for the masses with a slick aluminium casing, instead of the always cheap feeling plastic cases most tend to come with. It’s slim, but best of all incredibly light for such a device at 1.3kg (2.87 lbs). It comes with Ubuntu 16.04.2 LTS or Ubuntu 17.04, a speedy 7th Gen Intel in either an i5 7200U or i7 7500U and Intel® HD Graphics 620. I’m announcing the release of the 4.10.13 kernel. Greg Kroah-Hartman announced today, April 27, 2017, the immediate availability of new maintenance updates to the long-term supported Linux 4.9 and 4.4 kernels series, as well as Linux 4.10. The OPNFV Project, an open source project that facilitates the development and evolution of Network Functions Virtualization (NFV) components across various open source ecosystems through collaborative upstream development, integration, deployment, and testing, today announced the initial session agenda for its third-annual OPNFV Summit. Hosted by LF Asia, LLC, the Summit takes place June 12-15 in Beijing, and brings together key developers, communities, and organizations within the networking industry. Linux Foundation launches EdgeX project, steps on OpenFog’s toes? Curious about the Beignet OpenCL performance impact on a Broadwell-U laptop/ultrabook and just going through bare metal benchmarking withdrawals while away this week in Russia, I was running some Beignet tests on the Lenovo ThinkPad X1 Carbon. While Timothy Arceri at Valve had just made the change to a 5% cache size limit of your disk space from an original 10% maximum threshold, he’s now changed it to just a 1GB cache limit. A few days back I posted benchmarks of the initial GTX 1050/1060/1070/1080 Nouveau 3D support. As expected, the performance was rather abysmal with re-clocking not being available for Pascal (or Maxwell) GPUs on this open-source NVIDIA Linux kernel driver. For those trying to use Nouveau for Linux games or care about your GPU clock speeds, currently the GTX 600/700 “Kepler” series is still your best bet or the GTX 750 “Maxwell 1″ is the last NVIDIA graphics processors not requiring signed firmware images and can properly — but manually — re-clock with the current Nouveau driver. Earlier this week I posted some fresh AMD Radeon Windows vs. Linux gaming benchmarks using the newly-released Windows 10 Creator Update and Ubuntu 17.04. For your viewing pleasure today are some fresh NVIDIA Windows vs. Linux benchmarks using a high-end GeForce GTX 1080 Ti graphics card. The Subsurface development team proudly announces the release 4.6.4 of Subsurface, an open source dive log and dive planning program for Windows, Mac and Linux. The development team behind the Subsurface open-source dive log and dive planning application was proud to announce the immediate availability for download of the Subsurface 4.6.4 release. Subsurface 4.6.4 is the latest stable version of the popular program developed by Linus Torvalds in collaboration with other developers, and adds a great number of improvements over previous builds. These include a new planner mode to calculate minimum gas, better handling of notes when replanning dives, as well as support for the border width setting in printing templates. The long-anticipated GRUB 2.02 open-source bootloader software project was finally promoted to the stable channel after being in Beta stages of development for the past few years. The development team took their time to finalize the release of GRUB 2.02, which should soon make its way into the stable software repositories of your favorite operating system, but it’s finally here and we want to thank them for all their hard work and the awesome new features and improvements implemented so far. GIMP (short for GNU Image Manipulation Program) is a free alternative to Photoshop that more than holds its own. But don’t think that the lack of a price tag means GIMP is lacking in features; it packs enough punch to genuinely rival Adobe’s imaging behemoth. GIMP comes with impressive selection and montage features, various ways to retouch your images, cropping, noise reduction and colour adjustment tools, customisable brushes, gradients and so much more. There’s plenty for the more advanced user, too, including layer masks, bezier curves, filters and even an animation package. Cumulus Qt is a Qt weather app for the Linux desktop. It’s lightweight, has a bold, striking design inspired by Stormcloud, and is very customisable. Vivaldi’s Ruarí Ødegaard just informed us a few moments ago that Vivaldi 1.10 will be the next major version of the free and cross-platform web browser based on the latest Chromium technologies, not Vivaldi 2.0 as many of you have hoped. Vivaldi 1.9 just hit the streets the other day as world’s first web browser to ship with the Ecosia search engine enabled by default to help reforest the plane, and it now looks like Vivaldi’s devs never sleep, and development of Vivaldi 1.10 starts today with the first snapshot, Vivaldi 1.10.829.3, which introduces a long-anticipated feature: Docked Developer Tools! It seems like it would have been done long ago, but upstream SDL2 now finally has out-of-the-box Steam Controller mappings for Linux and iOS. I see people annoyed with GOG a lot in our comments for how long it’s taking their Galaxy client to land on Linux, the good news is that it’s being worked on. There’s not a great deal of games that are able to combine dungeon crawling with an FPS and make it fun, but it seems Immortal Redneck [Steam, Official Site] does a pretty damn good job of it overall. On May 10th, Rakuen [Official Site, Steam], a great looking 2D adventure RPG will release with day 1 Linux support from developer Laura Shigihara. The April release of the MAME (Multiple Arcade Machine Emulator) open-source emulator designed to recreate the hardware of arcade game systems on modern PCs is now available for download, versioned 0.185. Believe it or not, it’s been a month since MAME 0.184 landed with improvements to Agat-7 Apple II Clone emulation and support for new arcade games, and MAME 0.185 is yet another great release bringing a bunch of important bug fixes, as well as support for new hardware and the usual emulation improvements. Qt developers have begun a fresh round of discussions over the supported platforms / operating systems of Qt 5.10 that will be released in the later part of this calendar years. Among the officially supported Linux distribution changes would be moving to RHEL 7.3, openSUSE Leap 42.2, Ubuntu 17.04 (still keeping around 16.04 LTS too), moving the Windows MinGW to MinGW 6.3, and more. digiKam is an advanced cross-platform digital photo management app inspired by photographers’ needs to view, tweak, enhance, organize, and share photographs across Linux systems. It possesses all the tools and feature set necessary to process, manage, organize, and transfer photographs, videos, and RAW files – while consistently receiving optimization upgrades to its feature set and workflow. Akademy, KDE’s annual conference, requires a place and team for the year 2018. That’s why we are looking for a vibrant, enthusiastic spot in Europe that can host us! The first development snapshots of GNOME Shell and Mutter in the 3.25 series were released today in preparation for this week’s GNOME 3.25.1 milestone. Mutter 3.25.1 contains a number of improvements, mostly around its low-level monitor and display code. Some of the 3.25.1 work includes syncing window geometry on state changes, using EGL rather than GLX on OpenGL ES drawing, fixed HiDPI detection for vertical monitor layouts, scaling relative motion deltas with the monitor scale, a rework of low-level monitor configuration, and other fixes. The first development release of what will become GNOME 3.26 has released today for Shell and Mutter. For Mutter, the window manager for GNOME, this development release changes: fixed HiDPI detection on vertical monitors, fixes a lock-up when using additional theme variants and they also did a rework of low-level monitor configuration and more. The GStreamer team is pleased to announce the second release candidate of the stable 1.12 release series. The 1.12 release series is adding new features on top of the 1.0, 1.2, 1.4, 1.6, 1.8 and 1.10 series and is part of the API and ABI-stable 1.x release series of the GStreamer multimedia framework. The development cycle of the GStreamer 1.12 open-source and cross-platform multimedia framework continues today, April 27, 2017, with the second and probably the last Release Candidate before the final release. The second release candidate is now available for GStreamer 1.12, the next version of this widely-used, open-source, cross-platform multimedia framework. It’s been more than a week since Solus Project launched the new Solus ISO snapshot, along with the first release of the Solus GNOME Edition, and Joshua Strobl is back with another installation of the This Week In Solus (TWiS) newsletter. This Week In Solus Install 43 delivers both good and bad news to Solus users. We’ll start with the good news, as the distribution is now powered by the Linux 4.9.24 LTS kernel, and the ypkg build tool was updated to version 21, a maintenance release that adds a few improvements. The solbuild build system has been updated as well, and it’s now compatible with the latest libgit2 library. openSUSE Project’s Douglas DeMaio reports today, April 27, 2017, on the updates and improvements that landed in the software repositories during this week, brought by a total of four snapshots. With the use of APIs in enterprises soaring into the hundreds and beyond, Red Hat devises a containerized management platform that provides scalability for developers and DevOps. The world of Linux has long been divided into tribes, or distros as we called them. But what actually makes a distro? The packages it uses? The people who put those packages together? The philosophy behind the choices the people who put the packages together make? The question of what makes a distro is actually very difficult on to answer and it’s about to get even more difficult. There’s a change coming to the world of Linux that’s potentially big enough to make us rethink what a distro is and how it works. That change is Ubuntu’s Snap packages and the parallel effort dubbed Flatpaks. While these two projects differ in the details, for the purposes of this article I’ll consider them the same thing and use the terms interchangeably. Debian 9.0 “Stretch” has seen UEFI Secure Boot support no longer being considered a release blocker but is now just a stretch goal for this upcoming release. Debian developer Jonathan Wiltshire shared that while Secure Boot support was planned for Debian 9.0, it might not happen now due to short on time and resources. Secure Boot might still work its way though into a later Debian 9.x update. We’re approaching the final sprint towards Debian 9 “stretch”. With Debian 9.0 not being far away from releasing, the Debian CD Images Team has issued an update over their fundamental changes happening for this “Stretch” cycle. I love talking about supply chain management in an open source software context, especially as it applies to managing collaborative processes between upstream projects and their downstream products. In the article linked above, I called out a couple of examples of supply chain management: an enterprise OpenStack distribution and a container management product utilizing Kubernetes and Docker for upstream platforms. What about anti-patterns or things to avoid? There are several we could call out. At the risk of picking on someone I like, I’ll choose Canonical simply because they’ve been in the headlines recently for changes they’ve made to their organization, cutting back on some efforts and laying off some people. As I look at Canonical from a product offering perspective, there’s a lot they got right, which others could benefit from. But they also made many mistakes, some of which could have been avoided. First, the good. A more accessible way to enable low graphics mode on Unity 7 may be on the way. The desktop already supports a low graphics mode of sorts, which can be enabled via Compiz. But this is far a) not easy to enable and b) does not disable every cycle-sucking composited element in the UI. The release schedule for Ubuntu 17.10 has been announced, and you can now download the daily build ISO images as well. Daily builds can be useful to watch the progress of Ubuntu 17.10, but are not recommended for normal usage due to possible bugs and changes. VS Vision Systems has launched a trio of embedded systems that run Debian or OpenWrt on a TI AM3352. and offer mini-PCIe wireless options and optional VPN. VS Vision Systems GmbH has tapped the tried-but-true, low-power Texas Instruments Sitara AM3352 SoC for its new line of fanless, Linux-driven Baltos iR embedded computers. The 154 × 104 × 50mm Baltos iR 5221 has two more Fast Ethernet ports than the Baltos iR 3220, and adds a USB 2.0 OTG port and CANBus port, but is otherwise identical. The 115 × 73 × 25mm Baltos iR 2110 is a more stripped down version that lacks the other devices’ mini-PCIe and SIM card slots, among other features. The systems are said to support remote monitoring and control applications, as well as general embedded computing. We’ve often heard (and said) if you can’t hack it, you don’t own it. We noticed that [tmbinc] has issued a call for help on his latest project: developing new firmware and an FPGA configuration for the Rigol DS1054Z and similar scopes. It isn’t close to completion, but it isn’t a pipe dream either. [tmbinc] has successfully booted Linux. There’s plenty left to do, though. He’s loading a boot loader via JTAG and booting Linux from the USB port. Clearly, you’d want to flash all that. Linux gives him use of the USB port, the LCD, the network jack, and the front panel LEDs and buttons. However, all of the actual scope electronics, the FPGA functions, and the communications between the processor and the FPGA are all forward work. Axiomtek’s “CEM313” COM Express Compact module runs on Intel Apollo Lake, and offers -20 to 70°C support, vibration resistance, and an optional carrier. The CEM313 is Axiomtek’s first computer-on-module to support Intel’s recent Apollo Lake generation of system-on-chips. The 95 x 95mm COM Express Compact Type 6 module lacks Atom E3900 support, but can load the quad-core Pentium N4200 or dual-core Celeron N3350, running at up to 2.5GHz and 2.3GHz, respectively, each with 6W TDPs. The Linux- and Windows-10 supported module is available with the same CEB94006 carrier board offered with its Intel Bay Trail based CEM841, CEM842, and CEM843 COM Express modules. Can Project Halium revive Linux on mobile? The Linux-based Android operating system may dominate the smartphone space, but there are many Linux users who want a mobile OS that’s closer to the desktop Linux experience, where they can use traditional desktop Linux tools and utilities. Many open source companies have tried it. Mozilla had Firefox OS, Jolla had Sailfish OS and Canonical shipped some devices with Ubuntu mobile on it. Halium, a new effort that aims to unify the Hardware Abstraction Layer for Linux mobile devices that come with Android pre-installed. It just popped up in my feed today and it sounds quite interesting. The developer wrote on the Halium blog that there’s a lot of fragmentation in how different mobile-focused Linux distributions handle Android. Huawei just announced a new Raspberry Pi-like mini computer that will let developers create software for Android on an ARM-based development board for the first time. The company usually prices its high-end smartphones aggressively to compete with more established rivals like Samsung and Apple, but that’s not the strategy it’s adopted for the new HiKey board for the Raspberry Pi-dominated single-board computer market. How secure is your data on that Android smartphone? On a scale of “Alcatraz” to “open field of flowers,” where does yours rank? If you’re truly concerned about the security of your mobile device (which you should be), you know there are always steps to take to further clamp it down. Because some of these steps a bit more complicated, they are often overlooked by the average user. That’s why I want to offer up a few easy ways anyone can bring a bit more security to their Android device. The frailty of the DNS system became all too evident last year, when DNS host Dyn was hit by a major Distributed Denial of Service (DDoS) attack that brought down large swaths of the internet. With the threat of DDoS attacks only expected to grow, experts urge organizations to build redundancy into their DNS services. Open source changed the software game, introduced in the mid-1980’s but really making an impact in the late 1990’s and introducing a free, collaborative approach to software development. Free Electrons’ Michael Opdenacker summed up the latest kernel shrinkage schemes as well as future possibilities at the Embedded Linux Conference. Until recently, the word data didn’t require a modifier. But we passed a watershed moment when we started referring to big data. Apparently, that wasn’t a sufficient description for some chunks of data, because people grasped for bolder terms, such as humongous data. Sadly, now, it appears that we have run out of appropriate adjectives. And yet data keeps getting bigger and bigger. A look at the numbers released last week by the OpenStack Foundation from its ninth user survey should be of interest to anyone considering the platform as part of a cloud solution. The platform’s percentage of the overall cloud market remains level, at about two-thirds of the total clouds in deployment. That in itself represents a large increase in total deployments, as cloud use continues to rise. Add to that a rapid increase in proof-of-concept and test use, and it’s clear that OpenStack’s place in the cloud continues to strengthen. If your OpenStack hosted virtual instances need network connectivity you’re going to have to create a network. There are multiple kinds of networks and in order to make the right choice you will need to understand at least two very important network attributes: ‘router:external’ and ‘shared.’ Unless you know what these attributes and their combinations mean, it will be difficult to make the optimal network choice. The migration of ODF keeps going in many different fields in Taiwan. Since 2016 the Ministry of Education in Taiwan entrusts the Information Service Association of Chinese Colleges (ISAC) and Software Liberty Association Taiwan (SLAT) with the task of promoting and migrating ODF/LibreOffice in universities in Taiwan. Among all the university, National Chi-Nan University (NCNU) is the earliest one, which started migrating LibreOffice since 2014 and has been working on it for three years. While the resounding opinion is that the Department of Veterans Affairs should replace the proprietary VistA with a commercial EHR, perhaps choosing Cerner as the Defense Department did, that idea does not hold so true within the open source community. One of the original poster children of the big data software craze, Cloudera, is due for its long-awaited IPO this week. Sometime Thursday afternoon, its shares will price somewhere between $12 and $14 and will open for trading on the New York Stock Exchange the following morning, raising about $200 million in the process. Make no mistake, this IPO qualifies as what’s known in venture capital circles as a down round. Essentially the new investors are buying shares in a company that is worth less than it was during its prior funding rounds. While Open Source Software (OSS) has been around for decades, commercial software companies have had their traditional software design process flipped upside down in the last 10 years. When classic commercial software packages were first created years ago, there was very little third-party compliance that was required. The work of teaching in developing countries is often hindered by an absence of basic resources, a lack of infrastructure, as well as underfunding, corruption and sociopolitical instability. Given these realities, how can we develop teachers in a way that promotes quality education for all? Open education resources (OERs) are freely accessible, openly licensed materials that are available online for anyone to use in teaching and learning. They have the potential to build capacity by providing educators with direct access, at low or no cost, to ways in which they can develop their competence. Judging by the massive Rust fan base in our forums, those of you reading this will be delighted today about the newest version of Rustlang, v1.17. Despite the fact that three trillion dollars run through COBOL systems every single day they are mostly maintained by retired programming veterans. There are almost no new COBOL programmers available so as retirees start passing away, then so does the maintenance for software written in the ancient programming language. These may be the preferred languages for these platforms, but at the end of the day, mobile phones and web browsers are computing platforms, and with a little work, you can use any language you want. With the BeeWare suite of libraries and bridges, you can use just Python. And, you can use the same code to deploy on all these platforms. “Today at Apple” will offer programs with more than 60 different hands-on sessions in creative skills. The free sessions, which have been offered at Apple’s flagship Union Square store in San Francisco since last year, will cover topics such as photography, videography, music, coding, art, and design. But the Gallup poll also showed that 58 percent of Americans—including 41 percent of Republicans and 53 percent of those who favored repeal—wanted the ACA replaced with ‘a federally funded health care program providing insurance for all Americans,’ in other words, single-payer reform. Prosecutors say they believe there are many other victims. According to the seven-count indictment, the three defendants are part of a bigger conspiracy that ran from 2005 until this year, when a tip and a trail of electronic evidence led to their arrests. Given the increasing malware attacks against Linux-based IoT devices, there is growing interest in integrity protection schemes, as well as system update mechanisms that support over-the-air (OTA) field upgrades. At the recent Embedded Linux Conference, Patrick Ohly, a software engineer at Intel GmbH, Germany, who works on the Yocto Project and the IoT Reference OS Kit for Intel(r) architecture, surveyed both topics and explained how they interrelate. To understand why it is so difficult to defend computers from even moderately capable hackers, consider the case of the security flaw officially known as CVE-2017-0199. The bug was unusually dangerous but of a common genre: it was in Microsoft software, could allow a hacker to seize control of a personal computer with little trace, and was fixed April 11 in Microsoft’s regular monthly security update. The Verizon 2017 Data Breach Investigation Report reveals that cyber espionage is now the most common type of attack seen in manufacturing, the public sector and now education, with much of this due to the high proliferation of proprietary research, prototypes and confidential personal data, which are “hot-ticket items” for cyber criminals. Think passwords, people. Think long, complex passwords. Not because a breach dump’s landed, but because the security-probing-oriented Kali Linux just got better at cracking passwords. Kali is a Debian-based Linux that packs in numerous hacking and forensics tools. It’s well-regarded among white hat hackers and investigators, who appreciate its inclusion of the tools of their trades. The man, aged 27, was detained as part of an intelligence-led operation on Parliament Street. A suspected jihadist carrying a rucksack packed with knives was heading towards Downing Street when he was dramatically arrested by armed police, security sources have told The Telegraph. The ‘lone wolf’ suspect had been under close surveillance when counter-terrorism officers ordered his immediate detention as he came within 300 yards of the gates of the Prime Minister’s residence. The Centre for Investigative Journalism (CIJ) unequivocally condemns any renewed attempt by the United States government to prosecute or otherwise silence WikiLeaks, its staff or its editor, Julian Assange. As a charity that champions critical, in-depth reporting and the defence of the public interest, the CIJ came into being in 2003 to address a deepening crisis in investigative reporting. Libertarian stalwart Ron Paul will broadcast an interview with Wikileaks’ Julian Assange today, following recent news of President Trump’s Department of Justice potentially pursuing criminal charges against the controversial whistleblower. The Australian Federal Police illegally obtained a journalist’s phone records under the Turnbull government’s new metadata retention regime, the agency announced on Friday. The breach took place as part of an investigation into a leak of confidential police material – and the incident will now be investigated by the Commonwealth Ombudsman. Brian Bulatao, a private equity investor from Dallas, is slated to become the No. 3 official at the CIA, according to current and former intelligence officials. The job has traditionally, but not always, been filled by career intelligence officers. It is not subject to Senate confirmation. The position has long been known as “executive director,” but CIA Director Mike Pompeo is changing the title to “chief operating officer.” The executive director has been called the CIA’s “mayor,” responsible for the internal workings of the agency that employs an estimated 20,000 personnel worldwide. On this blog, I’ve promoted use of renewable energy as possible, practical and efficient. Still, the doubters rail on about how it’s not even possible. Here’s the thing. A country that has depended on coal for more than a century managed to live without it for electrical generation for a whole day. Extend that. Multiply that. We get a whole world able to live without coal. Repeat, and we can do it for natural gas and oil too. She went three months without state support for poor elderly Mexicans after she was turned away from a branch of Citibanamex in the city of Guadalajara for being too old, said Miguel Castro, development secretary for the state of Jalisco. Welfare beneficiaries now need individual bank accounts because of new transparency rules, Castro said. “They told me the limit was 110 years,” Félix said with a smile in the plant-filled courtyard of her small house in Guadalajara. Microsoft has used regional sales units in Ireland, Singapore and Puerto Rico to build up a cash stash of US$108 billion outside the US, according to court papers that have emerged during a case between the software giant and the US Internal Revenue Service. The papers revealed in the IRS case showed that between 2001 and 2006, Microsoft had done a series of internal deals that took money upfront to switch the rights to code and other assets created mostly in the US to subsidiaries in Bermuda, Ireland, Singapore and Puerto Rico. Facebook is set to admit it has become a battleground for governments intent on manipulating public opinion in other countries for geopolitical reasons, according to a new report. The list of those who are “disinvited” to forums where free speech should exist keeps getting longer. In some ways, it is a badge of honor to be included in that list; in other aspects, of course, it is the abject failure to respect the right to hold an opinion. Ultimately, it is “campus fascism” on the rise. With the 0.3.0 series, clients and relays now use Ed25519 keys to authenticate their link connections to relays, rather than the old RSA1024 keys that they used before. (Circuit crypto has been Curve25519-authenticated since 0.2.4.8-alpha.) We have also replaced the guard selection and replacement algorithm to behave more robustly in the presence of unreliable networks, and to resist guard- capture attacks. Section 702 — the statute that allows the NSA to collect internet communications and data in bulk — is up for renewal at the end of this year. The NSA, thanks to Ed Snowden, faced more of an uphill battle than usual when renewing Section 215 (bulk metadata collections). For the first time in its existence, the NSA ended up with a compromise (the USA Freedom Act), rather than a straight renewal. The Intelligence Community appears to be trying to get out ahead of straight renewal opponents. The Office of the Director of National Intelligence has released a Section 702 Q&A at millennial watering hole Tumblr. By returning its own soft serve questions with canned talking points, the ODNI is hoping to show just how lawful its upstream collection is. They arrested him for giving interviews. It’s so important that anybody charged with a crime—regardless of what it is and regardless of who they are—has a lawyer fighting for them. It’s one of the most important things that we put in the Constitution. The police, whose job it is to protect the public, stood by and watched and allowed the angry Muslims to carry on. Since then they have been allowing ‘angry Muslims’ to carry on with a number of things that would see non-Muslims jailed. Does anyone really need to hear from Saudi Arabia about women’s rights? Turkey has detained more than 1,000 people and suspended over 9,100 police in a new crackdown against alleged supporters of the US-based preacher accused of orchestrating the coup bid against president Recep Tayyip Erdogan. Lauri Love, the alleged British hacker facing extradition to the United States on multiple charges after the country accused him of breaking into top federal computer networks, will now have a chance to appeal his extradition to the UK’s High Court. Britain’s Home Secretary Amber Rudd authorized Love’s extradition last September, but Love’s defence argued that he would not be able to cope with a maximum sentence of 99 years in prison if found guilty in a US court. The US Department of Justice believes Love was part of a series of hacks on US systems that were carried out in retaliation for the arrest and subsequent suicide of internet activist Aaron Swartz, who had been facing up to 35 years in prison for downloading millions of academic journal articles so he could share them, flouting restrictive copyright laws. Six months in fact, which in addition to the five months he has already spent there, means nearly a full year of imprisonment before he even gets another hearing. Anyone familiar with internet culture will be familiar with Godwin’s law. It goes roughly something like this: the longer a discussion goes on on the internet, the higher the probability that a comparison to Hitler or the Nazis will be made. This axiom enjoys lofty status on the internet — so often have we seen its claim played out in threads and discussions. Godwin’s Law is, of course, not a real law. But there may soon be a real Godwin’s Law on the books, stemming from the murder of Robert Godwin Sr. and the subsequent video upload to Facebook of the murder. The weird, sickening persecution of Barrett Brown continues. Whether or not you like the guy (and every time we post about him, we hear from people who provide reasons why they dislike him), the way he’s been treated by our justice system is despicable. If you don’t recall, Brown is an award winning journalist, who certainly went deep with Anonymous and other online groups. Eventually that resulted in him being arrested and harassed by prosecutors for sharing a link. When the infamous Stratfor hacks were released, he shared a link to the files to get people to sift through them. Because some of the files included swiped credit card numbers, he was charged with “trafficking” in stolen credit cards. Oddly, right before trial — realizing how insane it was to charge him over this — the feds dropped the charges around linking, but pushed forward on other charges because he hid a laptop in a cabinet and (stupidly…) got angry at the FBI when they came to investigate. The odd part is that following a plea deal, the judge sentenced him to an astounding 63 months in jail — and cited the sharing of the link (again, those charges were dropped, but it sometimes appeared the judge didn’t realize that) to explain why. Full text of the plans will be available later today, with a vote planned for 18 May, after a public consultation. Unfortunately, with the republicans controlling both houses and the wire-wool satsuma at the helm, there’s a good chance this is going to pass. The main points, though, is that the internet will be reclassified as ‘Type I – information service’s, which means it’ll lose that safe status of, say telecoms. The FCC today opened the docket, titled “Restoring Internet Freedom.” Clicking “New Filing” takes you to a form for uploading documents, while an “Express” filing lets you write a brief comment without uploading a document. FCC Chairman Ajit Pai also released the draft text of a Notice of Proposed Rulemaking (NPRM) that will be voted on at the May 18 FCC meeting. There will be another three months for public comments after that preliminary vote, and the FCC will make a final decision sometime after that. It’s already pretty clear where this is going, though: Pai intends to overturn the 2015 net neutrality order, and the only question is whether anything will replace it. What Is Happening? First, it helps to explain what net neutrality is: a concept that internet providers should treat all traffic they handle equally. The existing FCC rules ban ISPs from blocking or throttling content, or from favoring one type of website over another, in the way that traffic is delivered to the consumer. As we noted yesterday, FCC Chair Ajit Pai has officially kicked off his plan to kill net neutrality — and unfortunately did so by spouting debunked myths and fantasies about how much damage net neutrality was causing for investment. As we pointed out that, that’s complete hogwash. If you actually looked at what telcos and ISPs were spending it showed no impact from the open internet rules. And, really, why should it have changed investment plans? As we’ve noted, the rules had basically no impact on ISPs unless those ISPs were looking to screw over consumers. And if it harmed those ISPs’ investment plans, that doesn’t seem like a very big loss. Otherwise, the open internet rules just provided clear “rules of the road” for ISPs to treat internet data fairly and to not screw over end users. Either way, that’s not the only “investment” that Pai should be looking at. Because one of the other key aspects of having an open internet is the massive amount of investment that has resulted for companies that operate on the internet. Pai seems (bizarrely) exclusively focused on investment in the infrastructure (which, again, has not dropped despite his claims) and totally ignores all the investment layers above (which also helps funds the infrastructure). So, just as Pai is (wrongly) whining that net neutrality harmed investment, over 800 startups, from all 50 states, sent him a letter urging him not to get rid of the open internet rules (and, yes, we were among those who signed onto the letter). Ten years of fighting for internet freedom, potentially out the window because Donald Trump was elected president and chose as his top telecom regulator a former Verizon lawyer who’s hell-bent on killing federal rules safeguarding net neutrality, the internet’s open access principle. That’s the prospect facing open internet advocates following Wednesday’s announcement that Trump’s Federal Communications Commission chief, Republican Ajit Pai, intends to dismantle the legal basis for the FCC’s landmark 2015 policy protecting net neutrality, the principle that all internet content should be treated equally. Last month Australia dropped plans to extend its copyright safe harbor provisions to include platforms such as Google, Facebook and YouTube. A little over a month later and the topic is back on the agenda, with the government announcing a new consultation aimed at encouraging the growth of the digital economy while protecting copyright holders. In other words, schools and universities have effectively been paying to lobby against changes to Australian copyright laws that would be very much in the interest of themselves, the public, and writers, who could use copyright materials more freely under a fair use system. According to the Sydney Morning Herald article, the top three executives at Australia’s Copyright Agency are all paid around $200,000 a year to come up with these kinds of ideas. It would be interesting to know whether Australian authors consider that $600,000 well spent. 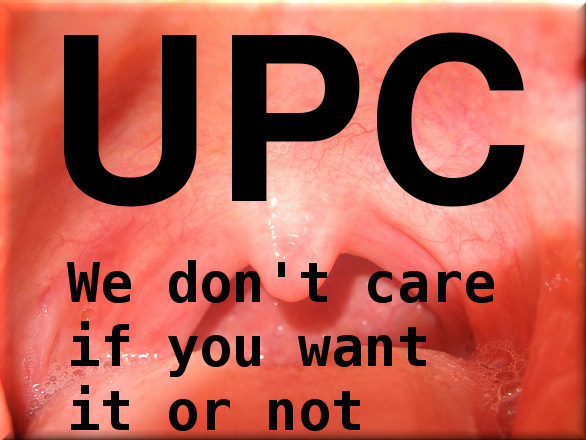 THE UPC is all about litigation. It’s about demoting examination and rewarding the litigation ‘industry’. This is what the EPO’s scandalous management has been eager to achieve, leaving even legislation to the litigation ‘industry’ and its tentacles. It’s horrible. It’s truly horrid. How it has gotten as far it has probably merits multi-volume books. “Is the EPO eager to leave every business in Europe vulnerable and exposed to litigation from all around the world, including troll-rich (i.e. ethically-poor) countries?”Yesterday, the EPO spoke about the “Patent Prosecution Highway” (PPH) again, which is related only indirectly to the UPC. The puff piece (caution: link to the EPO’s Web site, which means the EPO can harvest IP addresses) was titled “EPO and Eurasian Patent Office agree to launch Patent Prosecution Highway” and it’s more of that Battistelli-style self-aggrandising nonsense. Is the EPO eager to leave every business in Europe vulnerable and exposed to litigation from all around the world, including troll-rich (i.e. ethically-poor) countries? Because that’s what the UPC would achieve. “Why does Team UPC hate democracy, accountability, public participation and rational patent law so much?”We recently showed that Team UPC was actively lying about what had happened in Germany. It may be doing so again, starting with Kather Augenstein in its scarcely-known ‘blog’ and also Bristows. They promote this in Twitter right now. Yesterday, Mr. Weber from Kather Augenstein could be seen sucking up to Bristows in comments about patent trolls which operate in the UK — something which Bristows too likes (it’s mutual, as Bristows mentions him too) and he tweeted more of his usual stuff, pretending that the UPC is inevitable (it's not at all), basically marketing for his employer, which uses the UPC as a marketing opportunity even if it’s a recipe for plenty of trolls in Germany (already a real and growing problem). “We hopefully we’ll [sic] all be much smarter (and working in front of the UPC) in one year,” he wrote. TECHRIGHTS has published over a dozen articles defending Director Lee (of the USPTO) from vicious attacks that include a smear campaign and false rumours. She does not deserve any of that. In many ways, she’s the opposite of the President of the EPO and she has contributed to great improvements in the system. What has not been clear is just who tech’s choice might be, but earlier this week any doubt was cleared up when a large constituency of big name companies including Amazon, Facebook, Google and Samsung wrote to President Trump and Commerce Secretary Wilbur Ross urging them to leave Lee in place or appoint someone who will continue the work she has begun at the agency. The letter was organised by United for Patent Reform, the advocacy group that has been pushing hardest for new patent legislation. As well as including some of the biggest tech companies, the signatories also include organisations representing builders, retailers and the auto industry. Under Lee’s watch, the letter points out, the PTO has put a strong focus on improving patent quality through the Enhanced Patent Quality Initiative and via its oversight of the post-issuance review process. “Patent quality, which had unfortunately been neglected for too long, is finally being recognised as critical to the strength and success of our patent system,” the letter states. “We believe that the American economy would greatly benefit from [Lee’s] continued leadership or the leadership of a USPTO Director committed to the priorities she has instituted and championed,” it concludes.